Dimensions 0.75 by 8.25 by 9.25 in. 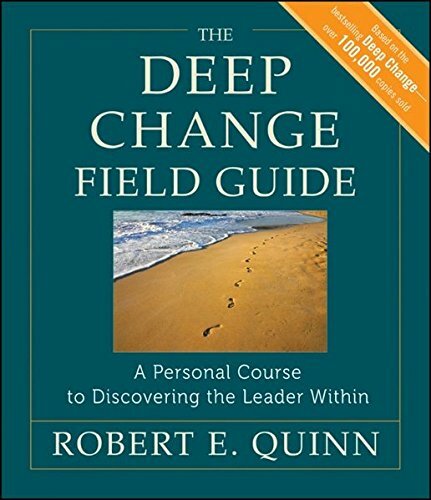 Based on the bestselling book, Deep Change, The Deep Change Field Guide takes readers through the introspective journey of personal transformation. The field guide streamlines, updates, and augments the content of the original book into an interactive self-teaching course that helps readers learn how to become powerful agents of change. Learning tools include reflection questions, film assignments, and action plans that help readers think about the concepts in terms of their own situations, and identify actions to embody the concepts in their lives. The field guide has been carefully designed so that individual learners can gain the same benefits that students have long enjoyed in the author's courses, and the learning tools also lend themselves to both the academic and professional classroom. For anyone who yearns to be an internally driven leader, to motivate the people around them, and develop a satisfying work life, The Deep Change Field Guide holds the key. About: How to realize your own leadership potential Based on the bestselling book, Deep Change, The Deep Change Field Guide takes readers through the introspective journey of personal transformation.